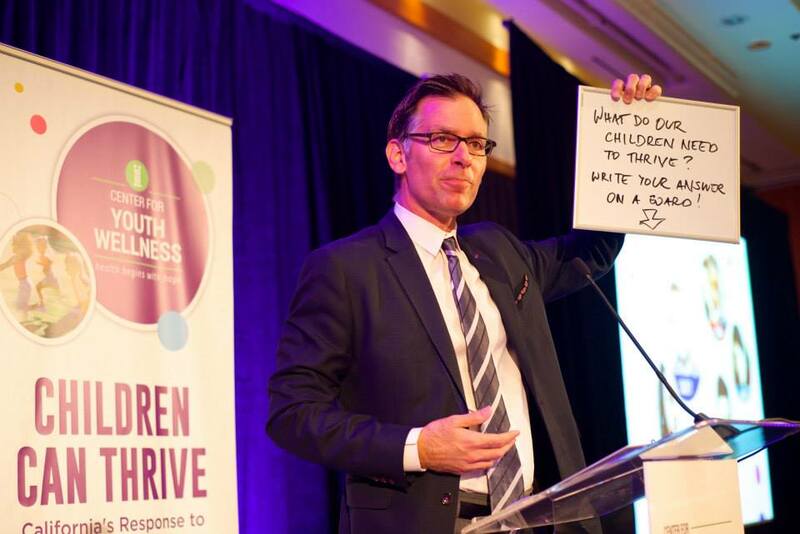 A three-day summit on Adverse Childhood Experiences, or ACEs, strengthens California’s efforts to orient policy and practice around preventing and responding to child trauma. 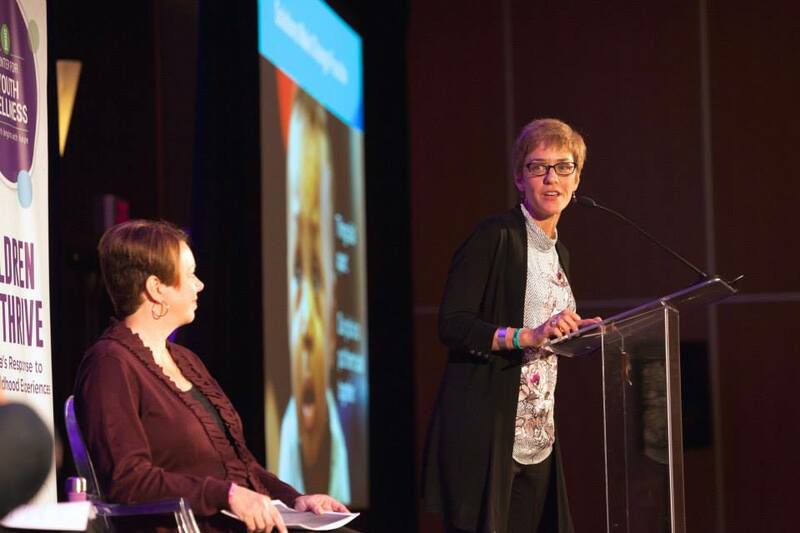 From November 5 – 7 in San Francisco, more than 200 leaders from across the state and from various sectors – including health, medicine, education, child welfare and criminal justice – gathered for the first-ever state summit on the impacts of early childhood trauma. Organized by The Center for Youth Wellness, the goal of the summit was to engage key stakeholders to learn more about the impacts of adverse childhood experiences and begin to think about how to build a comprehensive, integrated system for identifying, screening and treating adverse childhood experiences. While that’s a daunting task, the summit was a smashing success. It brought together leaders across sectors to learn from each other and begin to ask important questions about how we identify and respond to ACEs. How do we get the various systems talking to one another? For example, if a child is acting out in pre-school, how can teachers be trained to not only identify symptoms of adverse childhood experiences, but who can they then connect with in order to get the child the help he/she needs and deserves? How do we talk about this issue in a way that will resonate with a broader audience? Adverse childhood experiences, or even toxic stress, are insider terms that have little to no resonance with the average Californian. And this issue is relevant to a wider audience as we found out at the conference. The Center for Youth Wellness released its groundbreaking report, “Hidden Crisis: Findings on Adverse Childhood Experiences in California” (HiddenCrisis_Report_1014), which found that nearly 62 percent of all Californians have experienced at least one adverse childhood experience such as abuse, neglect or ongoing household dysfunction. So we need to develop language that will connect with every day Californians. As Martha Davis from the Robert Wood Johnson Foundation put it during one session, “we need a great elevator pitch about ACES, not a 16-floor walk up speech. What role does philanthropy play in this effort? How can philanthropy provide leverage in creating the kind of integrated, statewide system we know is needed? One of the ideas that resonated with many at the summit, myself included, is the need for a dramatic culture change. Too often, we look at students, or even adults, who have suffered from traumatic childhoods and wonder, “what’s wrong with you?” We can change the dynamic and open the door to understanding, simply by asking, “what happened to you?”The idea of creating a statewide, integrated system of care seems daunting, especially in a state as large, populous and diverse as California. But unlike most conferences, the summit felt like more of a springboard for action going forward, the beginning of a movement in California.For example, my organization is already working with the California Endowment and ACEs Connection to host a meeting in Los Angeles in January 2015 to bring together all summit participants from LA County, as well as those who did not attend but are interested in working on ACES in LA County. We received an enthusiastic response from participants at this idea and we anticipate great participation as a result. For these reasons, I feel confident that we have the leadership and momentum to ensure that one day soon, every child in California has the opportunity to thrive. Parker Blackman is the Executive Director of the LA Partnership for Early Childhood Investment, which invests in and promotes innovations that advance the lifelong health and well-being of LA County children, age 0-5. Compassionate listening and understanding to personalize a societal issue. Proactive approach to treating the source of the problem by applying resources where they are most needed. I look forward to seeing and contributing to developing initiatives resulting from this Summit.